Virus v Malware: What’s the Difference? A common question from business owners and at-home technology users alike is, “What’s the difference?” Well, there are big differences between the two, and it’s very important to understand these differences so you can ensure you have the right protection processes in place. In the past, if anyone was going to try to cause any damage to your networks, they’d release a virus into your system. Much like the medical equivalent, a virus can infect your network and systems in a range of ways; they could even speed up your computers so much that they’d blow up. But also like the medical equivalent, most viruses are fairly easy to cure and eradicate. If you get one it can be really annoying, but it’s also not usually the end of the world either. 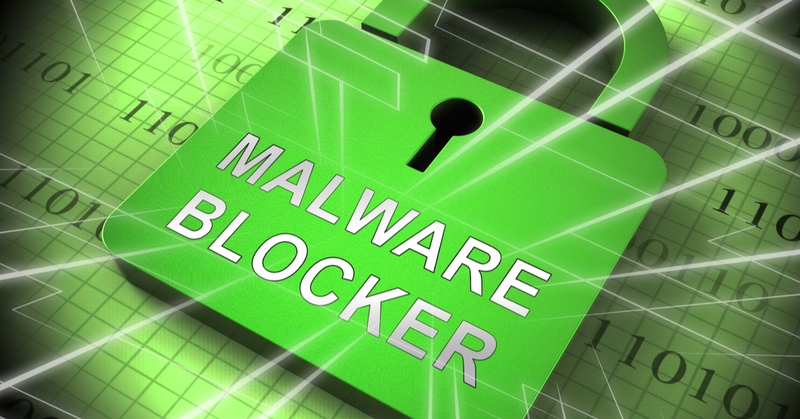 Malware (short for ‘malicious software’) is very harmful to your network and security systems. If left untreated, it can cause widespread damage and security breaches which is particularly concerning if you store data that belongs to someone else. Malware is software that has been developed specifically to harm and infect the centre of your system. Once it gets into the host, it can access every other device that’s connected to it - and that’s how it spreads like wildfire. Malware is basically a collection of all the worst digital things you can think of, including viruses, Trojans, worms, spyware and keyloggers. If you think these terms sound like you’re in some sort of war-based video game, you’re not far off. The people who make Malware are literally going to cyberwar with you so it’s really important to make sure you’re prepared. One of the worst components of Malware is ransomware or ‘cryptolocker’. This is when Malware gets into your computer, encrypts every file in your system, spreads to every other computer in your network and locks all of your files. No one can open or use anything. Then you receive a ransom email from the hacker demanding money for the password you need to access your files again. Many people pay these cybercriminals thousands of dollars but never get the code. With the ever-increasing popularity and reliance on everything digital, viruses and Malware are always going to be out there. Businesses who get impacted by them the most are those who didn’t implement the right protocol to protect themselves. The best way to combat Malware is to prevent your systems from being attacked in the first place. Always hire competent IT professionals or work with an experienced IT provider like Tech Help Direct who always puts security at the forefront of their decisions. Always have high-performing anti-virus and anti-Malware software installed on your devices and within your network too. Regularly update this software too, because as Malware and viruses become smarter, anti-virus and anti-Malware software changes to take all the changes into consideration. Regularly scanning your network with this software will ensure you always stay on top of what’s going on within it. Secure passwords will help limit access to the network, and changing them often will mean that hackers are less likely to get in. Encourage anyone who accesses your network to keep their passwords safe and to regularly change them too. Be careful about who you give access rights to and to what level of access. Here are ways in which you should not manage your passwords. Never download suspicious-looking files and never hand out personal information like passwords or bank account details online. Make sure all of your employees are savvy about suspicious messaging too, including odd-looking email addresses. Finally, it’s always a good idea to back up your files - just in case you do lose access to them in the future. Even though you might have the best security measures in place, a hacker could still break through if they really really wanted to - you just never know. Combating viruses and Malware can be very daunting, especially if you’re not sure what’s involved. Don’t nudge your way through it on your own; talk to the professionals. Tech Help Direct helps Australian companies like yours manage their IT security. You might think you’re doing OK; Tech Help Direct will also carry out network audits to make sure you are dotting your I's and crossing your T's and suggest ways you could improve your security. To find out how to keep control of your network, talk to the friendly Tech Help Direct team today.